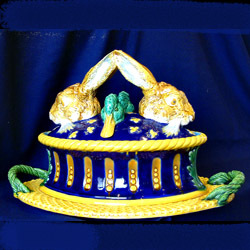 A rare Minton majolica hare and Mallardgame tureen modeled by Paul Comolera . 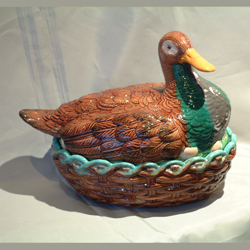 A William Brownfield majolica duck on nest game tureen . 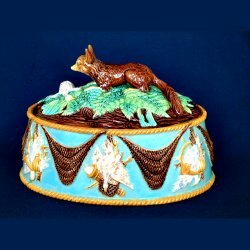 A George Jones majolica Fox & Goose game tureen . 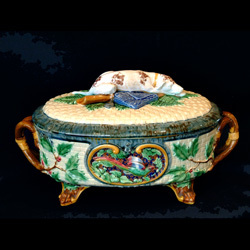 A Minton majolica gun dog game tureen . 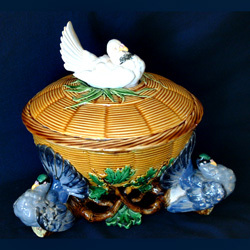 A Minton majolica pigeon game tureen . 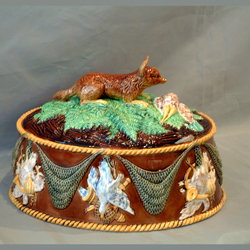 A George Jones majolica Fox & goose game tureen with liner . 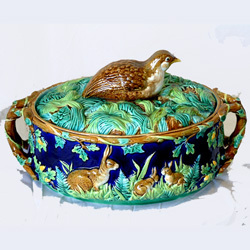 A large sized George Jones majolica Quail game tureen . 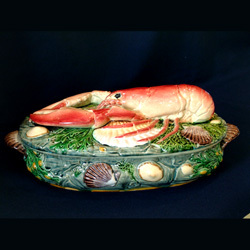 A Minton majolica Lobster game tureen .